Any business wants people to be able to find them online. But if your business has a physical location – from a single store a large enterprise chain – you probably want your local customers to be able to find you too. Local search engine optimization (SEO) is critical to helping increase your local business’s visibility online. Local SEO is a method for promoting your business by optimizing the online presence of your physical business location(s). Especially with the rise of mobile devices, people are constantly searching for relevant businesses and services close to them. 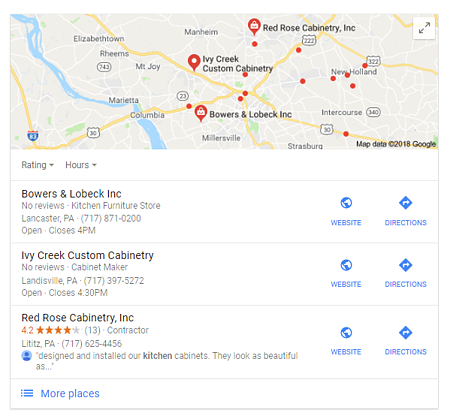 Local SEO involves a variety of different tactics, but ultimately, it’s about creating trust between your business and search engines, so they display you better in local search results. Knowledge Panel: detailed information box that appears on the right-hand side of Google’s search engine results page. Your Google My Business listing impacts how information is displayed here. Local pack, or local 3-pack: the top 3 local results and map displayed for most local searches. This replaced the earlier 7-pack listing. Local finder: from the local pack, if you click on “more places,” you’ll be taken to a map view with a larger 20-business list. 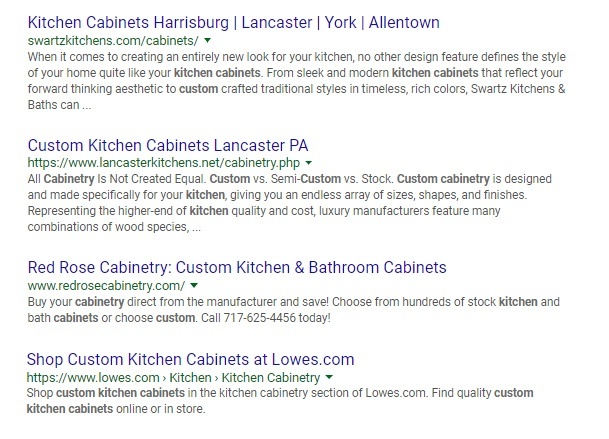 Local organic results: normal blue links on the search engine results page. For searches with local intent, these still often show nearby results, or a blended mix of local and non-local results. The concept behind any type of search engine optimization is that search engines are trying to return the best, most relevant results to the searcher. You’re trying to convince search engines that your result is better than the rest. Local SEO is specifically focused on the most relevant search results nearby. If you search for “best pizza places,” the search engine will return local pizza restaurants near your location, not just a list of the best pizza in the United States. It assumes that your search intent is local, and returns the most relevant results nearby. Google is pretty good at getting the best answer, given that 78% of local mobile searches result in an offline purchase. So how do you convince search engines that your local business is the best answer? You need to build trust. You need to convince search engines that you are who you say you are, that you do what you say you do, and – with local search especially – that you are where you say you are. Local search is local. Obvious statement of the year, right? But it remains one of the most important factors in determining which results Google displays. When you’re looking for “restaurants near me,” you want options that are close by. It doesn’t matter if a restaurant 50 miles away has better food and is a doing a better job with their search engine optimization. Google will still return the closer results first. Remember too, that your location changes all time, so you will get different results depending on where you search. It makes sense. When you search “restaurants near me,” you want different results if you’re at home, versus visiting a friend. So when you’re looking at your own business’s rankings, you may not see the same results as your customer who’s searching from their cell phone 5 miles down the road. 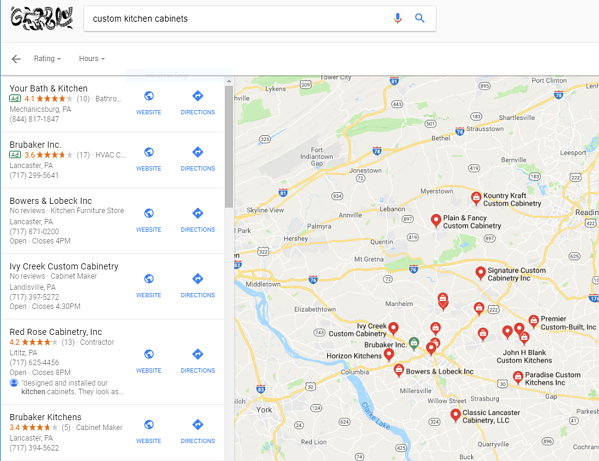 One of the most important steps to get your local business found online is to set up and optimize your Google My Business listing. 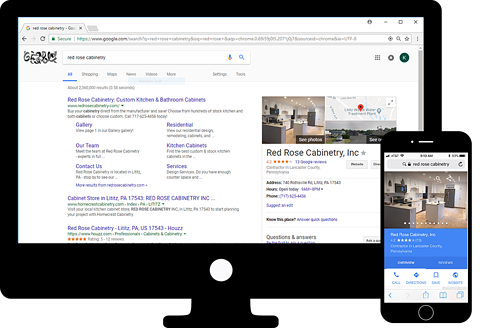 Google My Business is a free tool to help businesses manage their presence across Google search and maps. Once you claim your business listing, you can add contact information, detailed descriptions, business hours, photos, videos, and get customer reviews. A complete, accurate listing tells Google that your business is valid and helps it better understand what your business is all about, so it can send relevant search traffic your way. Without it, you’re unlikely to show up in Google’s map pack and other local results. Keep in mind that you need a physical address (not a PO box) where you make in-person contact with your customers. If you are an online-only business, then a Google My Business listing is not for you. There are hundreds, if not thousands of websites online that list your business information, including your name, address and phone number (NAP). These might be directory sites like Yellow Pages, review sites like Yelp, phone directories, news sites, industry publications, and more. Search engines can get information from any or all of those listings. The problem is that many of the listings are incomplete, inconsistent, or just wrong – which raises a big red flag to Google. Let’s say your website lists one phone number, but a bunch of outdated directories list an old number. Google sees the conflicting information, and now it’s not sure which phone number to list on your search result. It loses confidence and may decide not to show your business at all. Conversely, if you have a bunch of listings across many well-respected sites that are all consistent, you build a lot of trust with search engines. Having complete and robust information also helps. Think about the difference between a listing that only has a company name and phone number, versus one that lists their mailing address, phone number, hours, and a description of the business. Which one would you trust first? Clearly, then, maintaining directory listings is a key piece of any local SEO strategy. The tricky part is actually finding and correcting all of them. 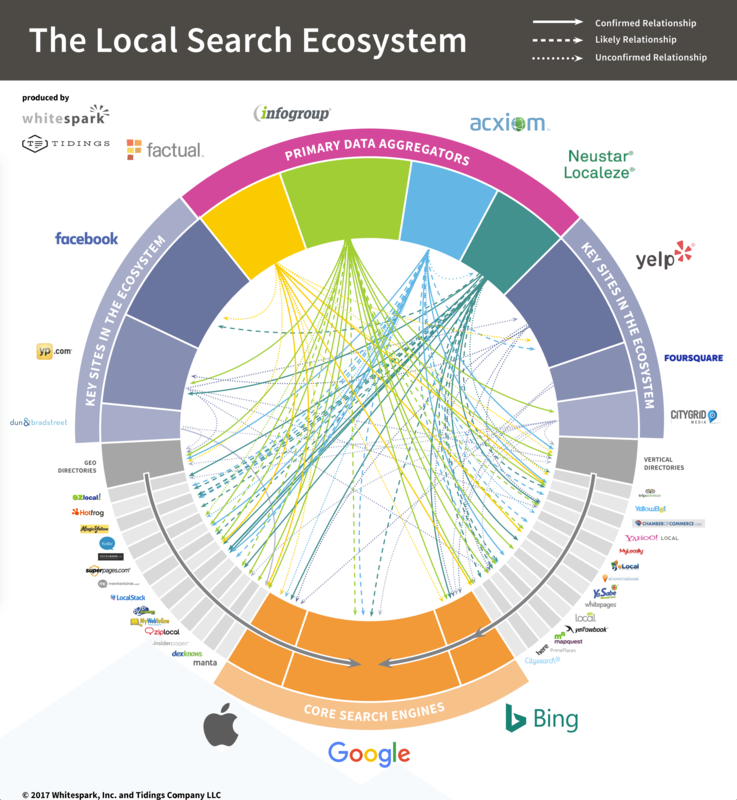 That’s where the local search ecosystem comes in. There are four main data sources where most directories and search engines get their information: Infogroup, Acxiom, Localeze, and Factual. Ever wonder where the phone books got all their information? These guys. Correct your business info with them, and they’ll eventually push it out to most of the other directories. However, then there are big-name secondary sources like Yellow Pages, Yelp, Facebook, and more. While they pull information from the four aggregators, they also provide regular information directly to search engines. If your secondary sources have conflicting information, they’re likely to confuse the search engines. 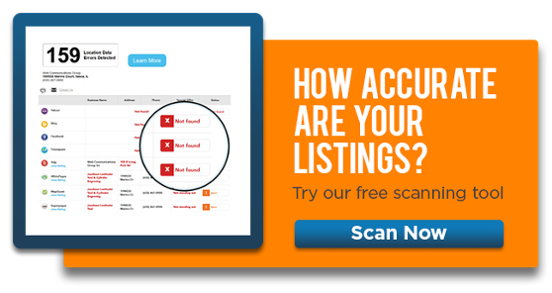 Maintaining your directory listings is an ongoing process. It takes time for data to pass from one source to another, and especially if you ever change your business’s contact information, incorrect and duplicate listings can pop up. Links are a critical part of any SEO strategy, local or not, because they help build authority for your website. Every link back to your website is like a vote, where someone is endorsing your business or your content. Links coming from well-known or trusted sites give you even more credibility in the eyes of search engines. 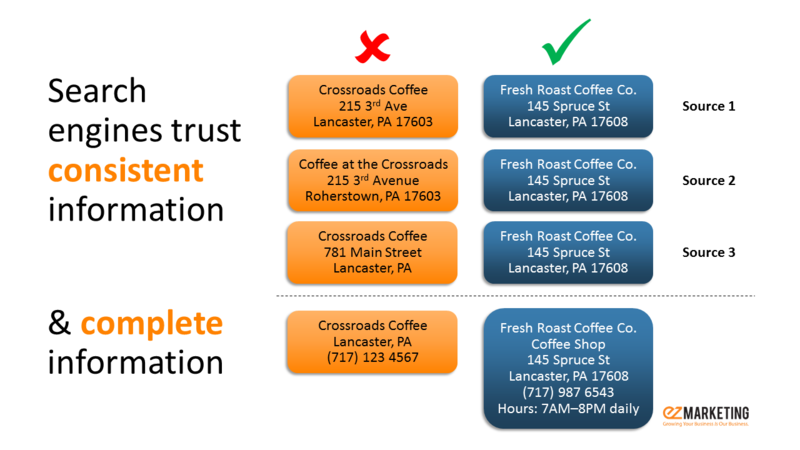 For local SEO, location-specific links can also help convince search engines that your site is more trustworthy. Do something newsworthy (in a good way!) and work with your local newspaper to cover the story. Join a local organization, or sponsor a community event. All of these are great ways to get links from sources in your area that can help boost your local presence. Again, kind of a no-brainer, but your website matters. You’re unlikely to rank well anywhere if you have a poorly designed or outdated website. Make sure your website covers the basics like mobile-friendly design, strong content, and good user experience. What does this mean for your local business? Encourage your customers, especially the happy ones, to leave reviews on whichever key sites your prospects use. Your goal is a regular stream of positive reviews, but never try to manipulate or pay for positive reviews. Sites like Google are suspicious of too many positive reviews all at once and will actually penalize your site. 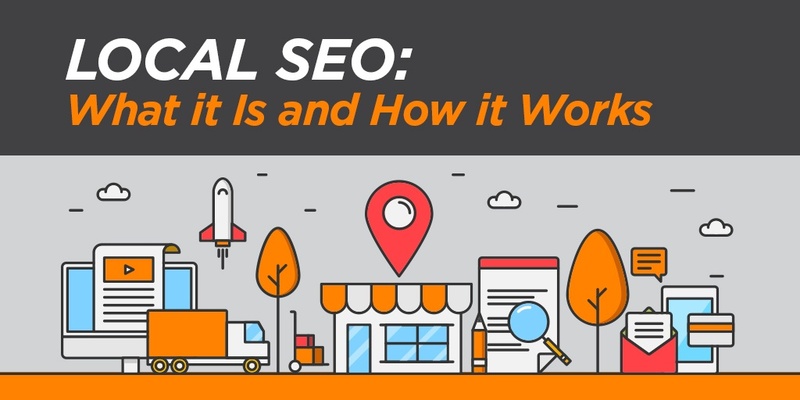 Hopefully this gives you a good overview of how local SEO works, and the key factors that impact your business’s visibility online. If you’re struggling with getting your local business found online or are looking for help with local SEO services - we'd be happy to help!